Please come to our annual Harvard Prize Book BBQ to meet and congratulate our 2016 Prize Book recipients! I write to you today to invite you to join me, and the Harvard Club of San Antonio, for a barbecue on Sunday, October 23, 2016, at 1:30 pm at my home in Terrell Hills, in celebration of scholastic excellence here in our San Antonio and South Texas community. 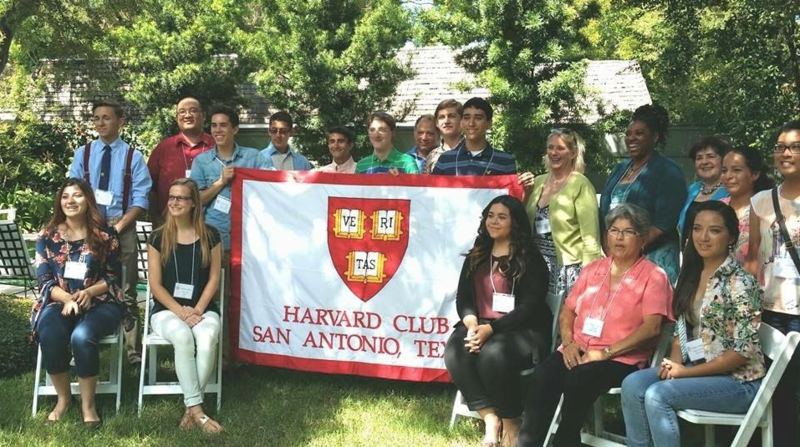 Every spring, through the Harvard Prize Book program, the Harvard Club of San Antonio, in coordination with the Harvard Alumni Association, recognizes high school juniors, teachers and administrators who demonstrate excellence in their pursuit and sharing of knowledge, dedication in their activities, and a generosity of spirit toward their fellow men and women. And, every Fall, we gather together to give these students, teachers and administrators — and the family members who support them — a big pat on the back! 1. Come to the Prize Book BBQ to meet and congratulate our Prize Book recipients. Our relaxed, casual gathering of Harvard alumni and area students, teachers and school counselors is the perfect time to visit with old and new friends alike. And whether or not you are able to join us, please consider making a donation to help cover the expenses of this happy event. All of our Prize Book recipients, and their parents or other guests, come to the BBQ as our special guests. 2. Make a donation to the Harvard Club of San Antonio to underwrite the Prize Book program. Your donation goes directly to the purchase of books to be awarded to the selected students and teachers, as well as to help cover the expenses of our annual BBQ held in our book recipients’ honor. 3. Present a Prize Book in 2017. Book presentations are unique opportunities to spread good will, on behalf of our Harvard alumni community, in schools throughout San Antonio and in neighboring cities and towns. Presentations can take as little as ten minutes, but the feelings of pride and appreciation last a lifetime. Please email me to sign up to be a 2017 Prize Book presenter, or to ask questions about the Prize Book program. Thank you for your consideration and support. I look forward to hearing back from you and to seeing you at the BBQ!